Atlas Roofing Corporation, its subsidiaries and affiliates (hereinafter referred to collectively as “Atlas”), provide all website information and content (for the website domains and sub-domains of Atlas, together with the underlying source files, hereinafter referred to as the “Atlas Websites”) under the following Terms and Conditions herein. Atlas reserves the right to modify, restrict and/or disable access, temporarily or permanently discontinue any or all of the Atlas Websites. As a visitor to our website, you acknowledge and agree that any reliance on or use of information available on this website shall be entirely at your own risk, AND YOU AGREE IN NO EVENT SHALL ATLAS NOR ANY OF ITS DATA PROVIDERS BE LIABLE FOR ANY DIRECT, INDIRECT, CONSEQUENTIAL OR EXEMPLARY DAMAGES ARISING FROM THE USE OR THE PERFORMANCE OF THIS WEBSITE. YOU MUST IMMEDIATELY TERMINATE YOUR USE OF THE ATLAS WEBSITES IF YOU DO NOT AGREE TO THIS AGREEMENT IN FULL. You are hereby granted a non-exclusive, non-transferable, limited license to view the Atlas Websites, and permission to use documents from the Atlas Websites (e.g. press releases and informational materials), provided that, (1) the copyright notice and this permission notice appear, (2) the documents are only used for your own informational, non-commercial and personal use, and will not be reproduced, republished, copied, transmitted, or distributed in any form, and (3) no modifications of any kind are made to the document or documents used. Use for any other purpose is expressly prohibited by law, and may result in severe civil and criminal penalties. Violators will be prosecuted to the maximum extent possible under law. Permission to use Atlas’ logos and trademarks is granted, provided these images are only used in relation to the sale and promotion of Atlas’ branded products. You may not sell, lease, or distribute these images to others. You may not copy or alter any portion of these logos or images. You may not use any logo contained on the Atlas Websites to represent yourself or your company as being affiliated with, recommended by or certified by Atlas. Atlas requires that you include the following language on any marketing, promotional, advertising, or other use of Atlas’ logos and trademarks, anywhere they are used: "An Independent [INSERT PROFESSION], not an Employee or Agent of Atlas® Roofing Corporation." You agree to use the logos and trademarks only in a manner consistent with the principles of trademark usage. Atlas’ policy is to comply with all intellectual property laws and to act quickly upon receiving any notice of claimed infringement and/or upon receiving any information about misrepresentation of Atlas’ property. All logos and trademarks are unique and are the exclusive property of Atlas. You agree to Atlas’ ownership of logos and trademarks obtained from the Atlas Websites, and you agree not to challenge the validity of Atlas’ title to the logos and trademarks, and not to oppose or petition to cancel any application filed or registrations received for Atlas’ logos and trademarks. All rights created by or arising from the use of the logos and trademarks shall be and remain the sole and exclusive property of Atlas. Any attempt to register or claim rights of the logos and trademarks contained herein or as a part of another mark in the United States or foreign jurisdiction without Atlas’ permission constitutes infringement of copyright. This agreement does not confer any intellectual property rights in the logos or trademarks, or to any patent, trademark, copyrights or intellectual property rights owned by or licensed by Atlas. THE ATLAS WEBSITES ARE PROVIDED ON AN “AS IS” BASIS. ATLAS DOES NOT WARRANT OR REPRESENT THAT ANY MATERIAL ON THIS SITE IS ACCURATE, COMPLETE, CURRENT, RELIABLE OR ERROR-FREE. ADDITIONALLY, THE ATLAS WEBSITES ARE PROVIDED ON AN “AS AVAILABLE” BASIS. ATLAS HEREBY DISCLAIMS ALL WARRANTIES AND CONDITIONS WITH REGARD TO THIS INFORMATION, INCLUDING ALL IMPLIED WARRANTIES AND CONDITIONS OF MERCHANTABILITY, FITNESS FOR A PARTICULAR PURPOSE, TITLE AND NON-INFRINGEMENT. THE DOCUMENTS AND RELATED GRAPHICS PUBLISHED ON ATLAS WEBSITES COULD INCLUDE TECHNICAL INACCURACIES OR TYPOGRAPHICAL ERRORS. CHANGES ARE PERIODICALLY ADDED TO THE INFORMATION HEREIN. ATLAS MAY MAKE IMPROVEMENTS AND/OR CHANGES HEREIN AT ANYTIME. NOTHING IN THESE TERMS & CONDITIONS SHALL IN ANY WAY BE DEEMED OR CONSTRUED TO MODIFY OR AMEND THE LIMITED WARRANTIES RELATED TO ATLAS PRODUCTS. ATLAS ROOFING CORPORATION, ITS SUBSIDIARIES, AFFILITATES, OFFICERS, DIRECTORS, EMPLOYEES, CONTRACTORS, SUBCONTRACTORS, AGENTS, OTHER PARTNERS AND THEIR SUCCESSORS AND ASSIGNS SHALL HAVE NO LIABILITY FOR DIRECT, INDIRECT, SPECIAL, INCIDENTAL, CONSEQUENTIAL (INCLUDING, WITHOUT LIMITATION, ATTORNEY’S FEES AND LOST PROFITS OR SAVINGS), EXEMPLARY OR PUNITIVE DAMAGES (EVEN IF ATLAS HAS BEEN ADVISED OF THE POSSIBILITY OF SUCH DAMAGES) ARISING OUT OF THESE TERMS & CONDITIONS AND YOUR USE OF ATLAS WEBSITES OR ANY CONSEQUENCES WHICH FLOW FROM IT. YOU AGREE TO INDEMNIFY ATLAS ROOFING CORPORATION, ITS SUBSIDIARIES, AFFILIATES, OFFICERS, DIRECTORS, EMPLOYEES, CONTRACTORS, SUBCONTRACTORS, AGENTS, OTHER PARTNERS AND THEIR SUCCESSORS AND ASSIGNS. YOU AGREE TO HOLD THEM EACH HARMLESS FROM ANY AND ALL CLAIMS OR DEMANDS, INCLUDING ATTORNEY'S FEES, MADE BY ANY THIRD PARTY DUE TO OR ARISING FROM YOUR USE OF THE ATLAS WEBSITES OR YOUR VIOLATION OF THESE TERMS AND CONDITIONS, OR ARISING FROM YOUR VIOLATION OF ANY RIGHTS OF A THIRD PARTY. The transmission of any data or information over the internet, through both private and publicly accessible networks may not be secure, and is subject to possible loss, interception and/or alteration while in transit. Accordingly, we do not assume any liability for any damage you may experience or costs you may incur as a result of transmissions over the internet (including those which may contain your personal information). We make no efforts to safeguard the privacy of the information you provide us. In no event will the information you provide to us be deemed to be confidential, create any fiduciary obligations to you on our part, or result in any liability to you on our part in the event that such information is inadvertently released by us or accessed by a third party without our consent. Any communication provided to Atlas in connection with your use of the Atlas Websites will be treated as non-confidential, and you agree Atlas may use the same for any purpose without compensation. Disclosure shall constitute an assignment of all right, title and interest in such information to Atlas. Upon entering your information and the request for which you would like an independent roofing contractor (not affiliated with, associated with, or certified by Atlas in any way) to contact you, we do not guarantee that the independent roofing contractor will be able to obtain the materials for your roofing needs or that there are independent roofing contractors in your area that are either capable or willing to perform your roofing needs. We make no guarantees or representations regarding the skills or representations of such independent roofing contractors, or the quality of the job they may perform for you if you elect to retain their services. Atlas does not endorse or recommend the workmanship of any independent roofing contractor. It is entirely up to you to enter into a direct contract or otherwise reach agreement with an independent roofing contractor, and we do not guarantee or warrant specific job performance, the outcome or quality of the workmanship performed, nor any action they take while on the job. 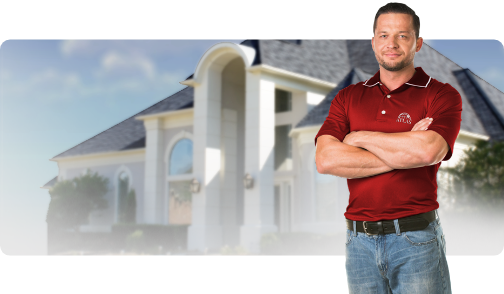 Independent roofing contractors are neither employees or agents of Atlas, nor is Atlas an agent of any independent roofing contractor. Atlas does not receive any remuneration from independent roofing contractors listed on the Atlas Websites. Atlas does not perform, and is not responsible for, any of the workmanship requested by you in your information request. Your rights under contracts you enter into with independent roofing contractors are governed by the terms of such contracts and by applicable federal, state, provincial and local laws. SHOULD YOU HAVE A DISPUTE WITH ANY INDEPENDENT ROOFING CONTRACTOR, YOU MUST ADDRESS SUCH DISPUTE WITH THE INDEPENDENT ROOFING CONTRACTOR DIRECTLY, AND YOU HEREBY AGREE TO RELEASE ATLAS AND ANY OTHER PERSON, FIRM, OR ENTITY (INCLUDING OUR BUSINESS PARTNERS SUCH AS A PRODUCT MANUFACTURER OR SUPPLIER) FROM DAMAGES OR CLAIMS (INCLUDING CONSEQUENTIAL AND INCIDENTAL DAMAGES) OF EVERY KIND OR NATURE, SUSPECTED AND UNSUSPECTED, KNOWN AND UNKNOWN, AND DISCLOSED OR UNDISCLOSED, ARISING OUT OF OR IN ANY WAY CONNECTED WITH SUCH DISPUTES. Atlas currently provides a voluntary service and marketing materials to independent roofing contractors at http://www.atlasroofing.com/pro. This service is open to professional contractors with a desire to sell and promote the Atlas brand and Atlas branded products. The program does not convey permission from Atlas to represent yourself or your company as being affiliated with, recommended by, or certified by Atlas. Atlas reserves the right to terminate this program in its entirety, the right to discontinue or terminate any account, and you agree Atlas may do so at any time with or without justification and without any liability or recourse whatsoever. When you sign up for this or any other Atlas affiliated program (e.g. marketing kits, lead generation, promotional coupons), Atlas is not issuing a specific referral, recommendation, testimonial or approval of any independent roofing contractor. Additionally, Atlas does not require certification, validation or proof of proper business practices to create an account. It is the responsibility of the Homeowner and/or Property Owner to determine the qualification of any potential independent roofing contractor inquiring about performing work on any potential project. The failure of Atlas to exercise or enforce any right or provision of this Agreement shall not constitute a waiver of such right or provision. You agree that regardless of any statute or law to the contrary, any claim or cause of action arising out of or related to use of ATLAS WEBSITES or this Agreement must be filed within one (1) year after such claim or cause of action arose or be forever barred. The section titles in the Terms and Conditions herein are for convenience only and have no legal or contractual effect. These Terms and Conditions shall be governed by and construed in accordance with the laws of the State of Georgia. You hereby agree that any dispute related to Atlas Websites shall be exclusively subject to the jurisdiction of the United States District Court for the Northern District of Georgia, Atlanta Division, and/or the state courts of holding jurisdiction over Fulton County, Georgia. The Atlas Websites and the Terms and Conditions may be changed by Atlas without notice. You are solely responsible for reviewing this Agreement on a regular basis for changes. Continued use of the Atlas Websites following any change and/or update constitutes your acceptance of the same. These Terms and Conditions incorporate by reference any notices contained on the Atlas Websites, and constitute the entire Agreement with respect to your access to and use of the same. If any provision shall be deemed unlawful, void or unenforceable, for any reason, by any court of competent jurisdiction, that provision shall be modified in order to make it enforceable, while maintaining the spirit of the provision. Alternatively, if modification is not possible, such provision shall be stricken and shall not affect the validity and enforceability of the remaining terms herein.